The fashion industry around the world just keeps growing and expanding, even transcending cultures, races and religions. 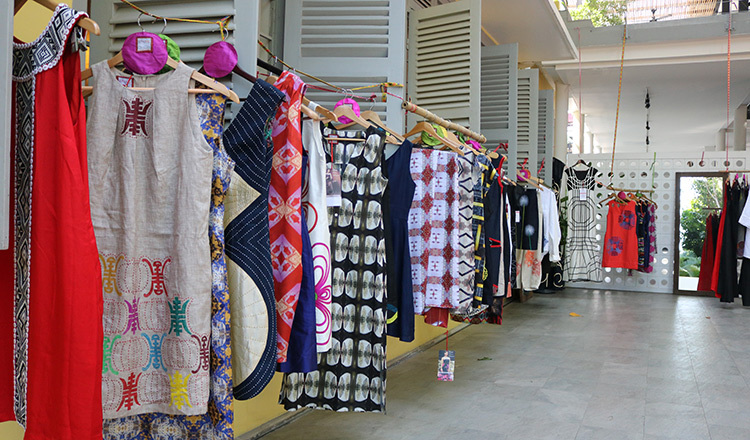 Fashion designers travel across continents to discover new styles to offer the ever demanding market. People mix up colours and cuts, go extra or style up in a minimalist way. Whatever the fashion preferences are, there are limitless clothing designs for everyone. 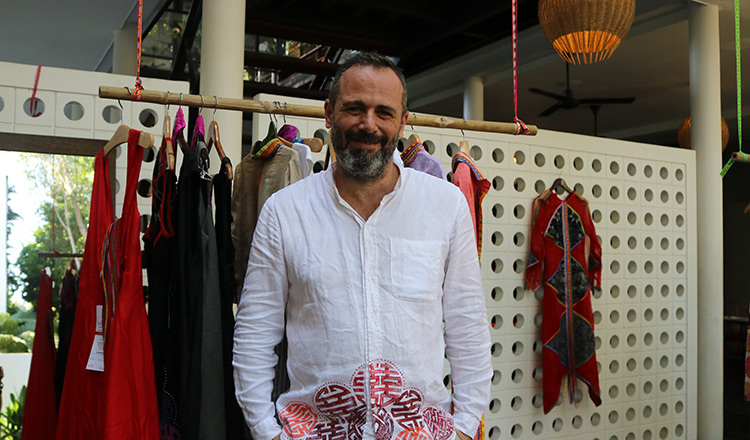 Diego Cortizas, fashion designer and co-founder of Hanoi’s Chula Fashion, recently visited Phnom Penh for a fashion exhibit and shared his fashion expertise and perspective with Agnes Alpuerto. “Chula” is a Spanish word for something different and special. So it’s no wonder why Diego Cortizas and Laura Fontan decided to put up a fashion haven with such name in Hanoi, Vietnam. 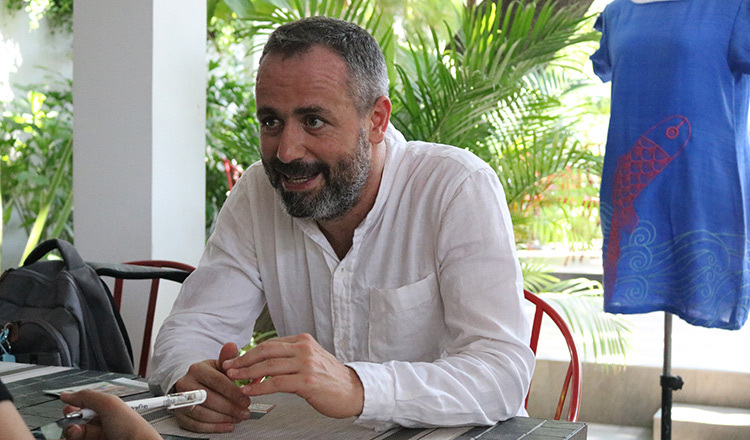 The couple, both from the storied country of Spain, journeyed to Vietnam in 2004, not knowing that the trip will change their lives beautifully. Diego and his wife, Laura, established Chula Fashion in Hanoi. 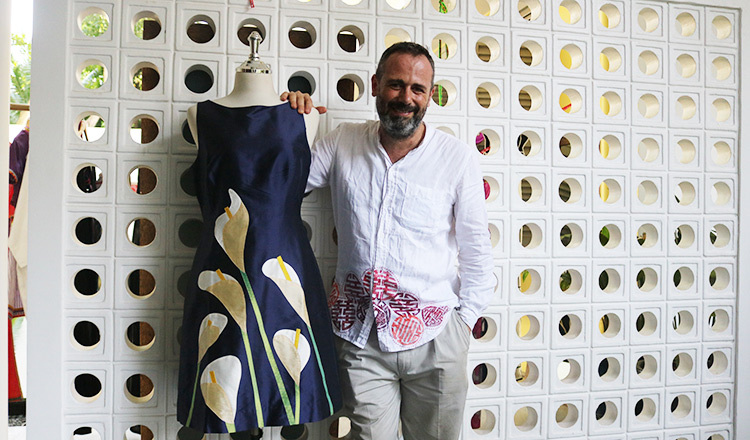 Diego, who was originally a practicing architect in Spain, didn’t just immerse himself into another culture quite different from his homeland, but also ventured into the creative world of fashion designing. 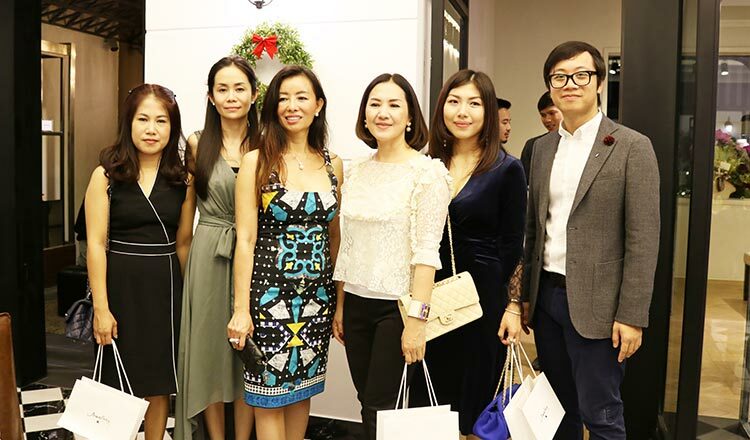 Almost a decade and a half on, Chula Fashion has blossomed into one of the leading style and fashion go-to sites in Hanoi and in other places in Vietnam. Good Times2: Why did you decide to put up a fashion shop in Vietnam? Diego Cortizas: It was really by chance. My wife and I came to Vietnam as tourists and we liked it. The fabric, the embroidery, the silk and the Asian flavours and culture we found in Vietnam made us fall in love with the country. We found a source of inspiration to start out a company. Good Times2: Was the transition from architecture to fashion designing a struggle? Diego Cortizas: People get surprised when I say it wasn’t that hard. I studied architecture and worked as an architect for 10 years in Spain. The first time I arrived in Vietnam, I discovered fashion. I immediately switched. And now I’m totally in love with it. Fashion and architecture have many things in common. They’re both about shapes, drawings, proportions, colours. What I’ve learned in architecture, I translate it to fashion. It actually helped me to be more creative. Good Times2: How do you design your clothes? How does the production run? Diego Cortizas: I design the clothes myself. I draw inspiration from geometry, arts, photography, music and popular culture. I think fashion should always connect with culture. As much as possible, I don’t source ideas from magazines because I would only repeat what has been done already. I try to make the designs as unique and different as possible, like they don’t follow certain trends. That way, the clothes can be worn for many years because they don’t go outdated. For the production, we have seamstress, cutters, we have people who do embroidery and painting in our headquarters in Hanoi. The entire process happens in that house. That’s how my wife and I see to it that we know every stage before the clothes are delivered to our other shops in Hoi An and Saigon or to our customers. You see, we want every design to have personal touch from us. Good Times2: How has Chula Fashion helped your newfound home? 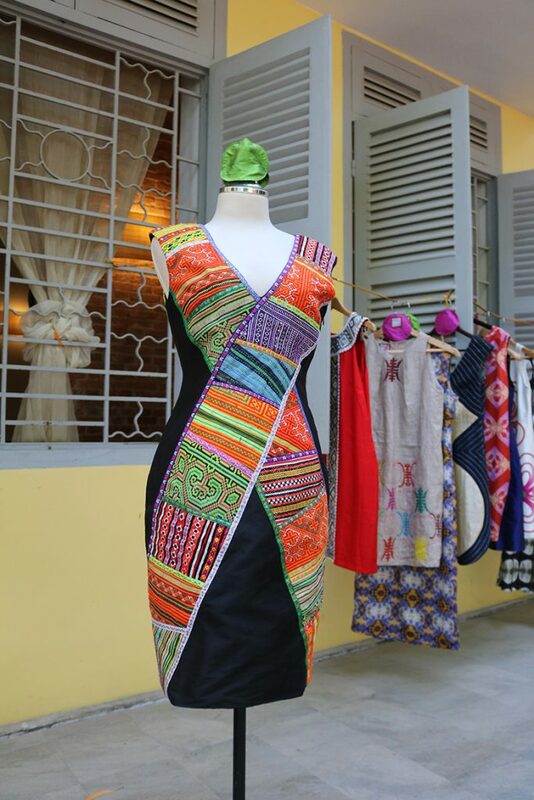 Chula Fashion mixes up Spanish and Vietnamese designs. Diego Cortizas: When we built the company in Hanoi in 2004, we thought of making it a social company. There are currently 65 people working with us, 45 of them are involved in the production of the clothes. With the 65 people, 85 percent of them are people with disabilities. They are people who have difficulties in hearing, in walking or those who physical limitations. We hired them because they are the people who get less chances of having jobs. We found out that they are super creative, super good people and we are so happy that we work together all the time to produce new ideas. And all the other employees have to learn sign language and have to adapt to the environment so we can all work harmoniously. In terms of our production materials, most of the materials we use for our clothes come from Vietnam. Even the linen, which isn’t produced in Vietnam, we get them from local sources. 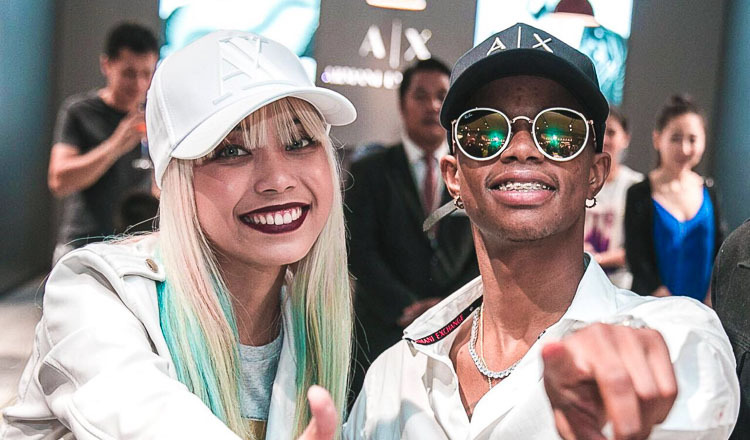 Good Times2: How can designers keep fashion as a booming industry? Diego Cortizas: Fashion is a very demanding line of business. 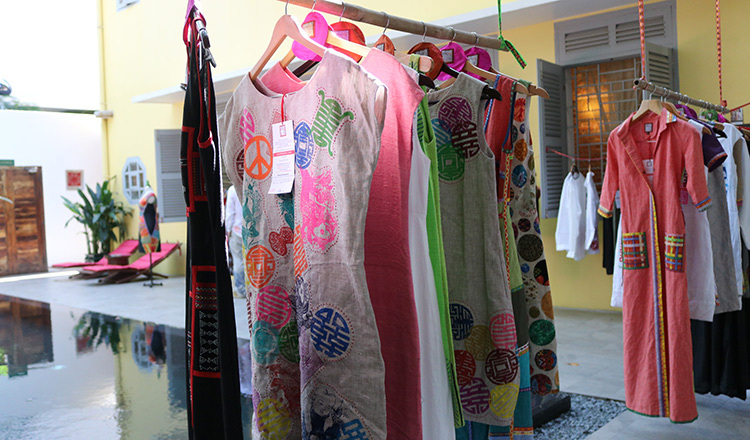 Designers and makers have to be quick in terms of conceptualizing ideas and translating them into wearable clothes. Ideas need to be always fresh. But it’s very beautiful to see that the idea you had a week or two ago becomes something that other people wear after. When I have this idea for designs, the production teams start doing them, and then I see somebody already wearing it, giving life to it. So beautiful. Oh wow. And then I get feedback about the dresses. It feels really good. We know, though, that we have to always offer something different to the customers. At Chula, we listen to what the people want. If they see our clothes and want it altered, like adding sleeves or making it shorter or longer, we accept the job. We give them our original style, but we always want them to know that we can play with it, depending on what they want. Good Times2: Do you plan to offer Chula in Cambodia? Diego Cortizas: I visited Phnom Penh and Siem Reap several years ago. When I came back here, I realised that the city [Phnom Penh] has changed a lot. It felt like coming back to a new place. They made really wonderful changes and developments. From what I saw, the fashion styles here are different from Vietnam’s. 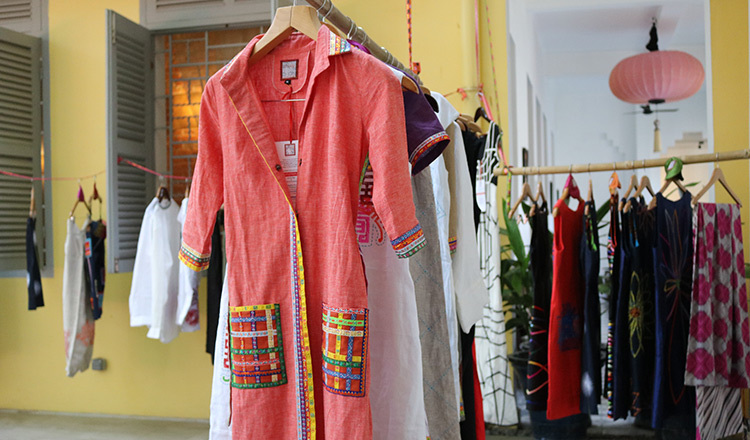 Cambodian fashion is more on Indian or Hindu styles while Vietnam’s influence is from China. 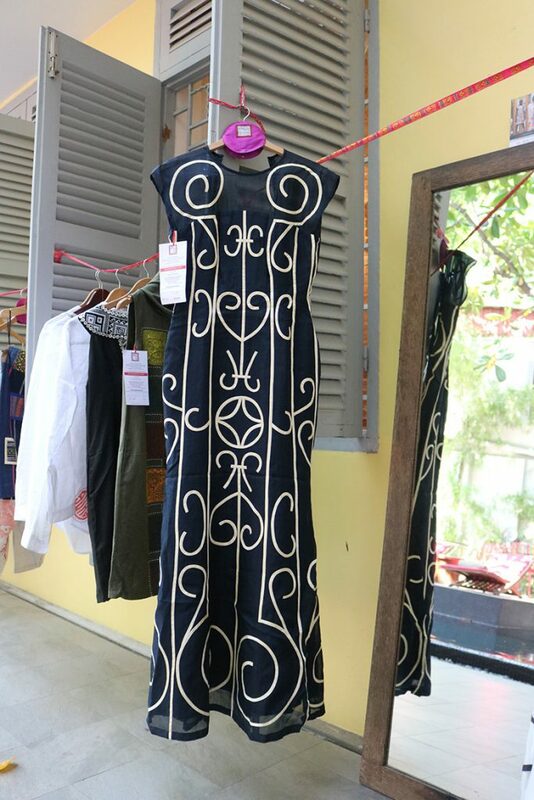 If I will put up Chula Fashion here, we will need to make something that is uniquely Cambodian because we want Cambodian customers to feel that the designs are made solely for them. We will study and make some research about the market, and the styles. But we hope to pursue Phase 1 – putting up a boutique here before December. We will give them a collection of Cambodia-style clothes. If it turns out good, we will proceed to Phase 2 – looking for a bigger space and putting up a house where the entire production would take place. I really want to bring Chula here in the future.